Revolutionary New Tri Color Technology produces color-changing beams of LED light. 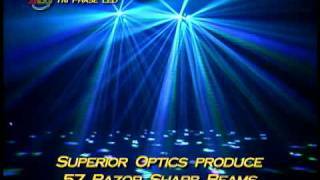 Superior Optics produce Razor Sharp Beams across a Dance Floor or Great effect on wall. Rich Saturated Colors and Long Life LED. Using a 1.8 Degree Long Life Stepper motor Technology it can produce Quick Accurate Movement or Smooth Fluid move movements for mood music. Considering purchasing the American DJ Tri Phase DMX LED Effect 10W? Have questions? Ask people who've recently bought one. Do you own the American DJ Tri Phase DMX LED Effect 10W? Why not write a review based on your experience with it. 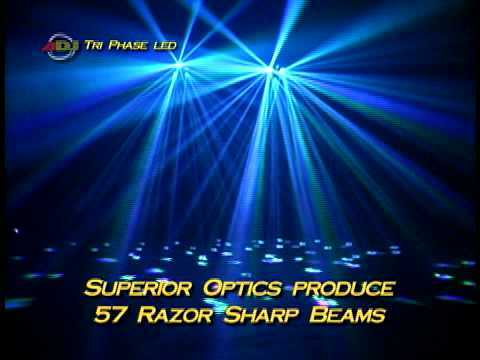 Seen a video for American DJ Tri Phase DMX LED Effect 10W online or have you own video? Check out American DJ Tri Phase DMX LED Effect 10W on DJkit.com!